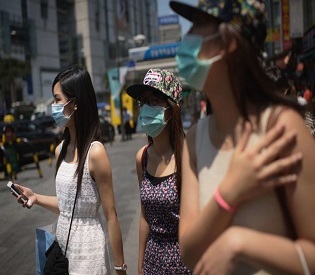 Jun 19, – Thai authorities took nearly four days to confirm the country’s first case of Middle East respiratory syndrome (Mers), the health ministry has said – a time lag likely to raise fears of a further spread of the deadly virus in Asia. The infected man had arrived in the Thai capital, Bangkok, on Monday on an Oman Air flight for medical treatment for a heart ailment at a private hospital. On Friday, the public health minister, Rajata Rajatanavin, declined to identify the hospital and said the patient had been put in quarantine at an infectious diseases institute in Bangkok on Thursday. “It took about four days to diagnose this case and two lab tests,” Rajata said. Authorities wanted to monitor all 106 people on board the man’s flight, he said, though it was not clear how everyone could be traced. Among those being monitored were the man’s two sons, who were considered at high risk because of their proximity to their father. The two had been tested and results were due later on Friday, Rajata said. Shares in Thai aviation companies and hotels fell on Friday, with hotel operator Central Plaza Hotel plunging 6.6%. Airports operator Airports of Thailand dropped 4.2% to a more than three-week low. South Korea’s outbreak, the largest outside Saudi Arabia, has been traced to a 68-year-old man who returned from a business trip to the Middle East in early May. It has spread through hospitals, with all of its infections known to have occurred in healthcare facilities. The outbreak in South Korea appears to have peaked, with just one new case reported on Friday and the number of people in quarantine down 12% to 5,930, though authorities are taking no chances. 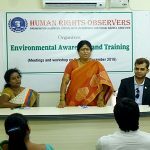 Press journalist for HRO media – Dr. Carlso reports.